On Sunday July 20th a part of Ottawa history will be no more. The south side stands at Frank Clair Stadium will be demolished, wiping away 50 years of history in just the blink of an eye. 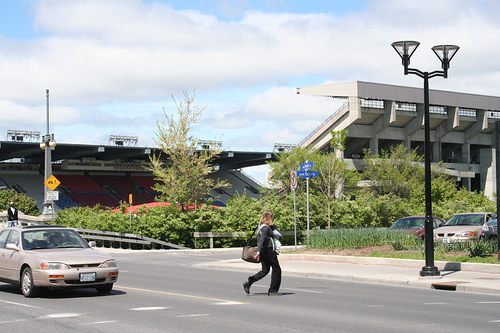 Frank Clair stadium, formerly known as just Landsdowne Park, was first built in 1909 for the Ottawa Exposition. 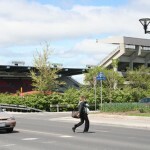 For 50 years only the “North Side” stood, with seating for 10,000, the south side comprising of simple small bleachers. It was in 1960 that the South Side as we know it today was erected. 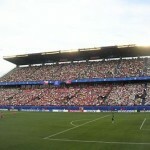 The new structure added 6,414 seats in the lower bowl and 7,870 in the upper bowl. In 1967 the North Side was torn down and rebuilt to include 14,542 seats and also included the Civic Centre arena and convention space. 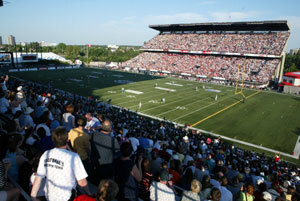 Over the years, Frank Clair stadium has been home to 2 CFL teams, the Ottawa Rough Riders and the Renegades. 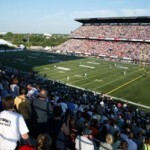 The yearly Panda Bowl between rivals Ottawa University Gee Gees and Carleton University Ravens was also held at the stadium. 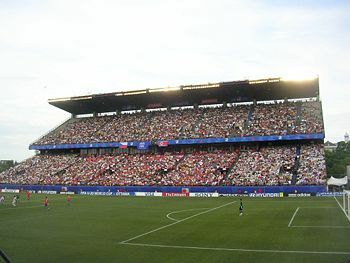 It was after hosting part of the FIFA under 20 World Cup in 2007 that cracks and defects were found in the South Side stands. This lead to the immediate closure of the stands. Upon further investigation it was determined that fixing the problems would be too costly and that the South Side had to come down. I have many memories of Frank Clair stadium. I spent one summer working at the stadium during the Rough Riders’ final season, dispensing beer to the many thirsty football fans that walked its halls. I attended many concerts, including the biggest concert to ever come to Ottawa. It was in the South Side stands that I sat for the 2005 Rolling Stones concert, sharing that experience with 45,000 others. I also attended many football games, for both the Renegades and the Rough Riders. For most of those games I sat in the North Side stands (not by choice), but I always found the atmosphere more fun on the South Side. The North Side always appeared to have a more sophisticated, sports minded atmosphere while the South Side was always party central.